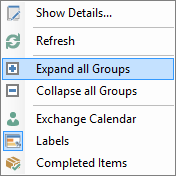 Note that this command only expands the next lower subordinate group, so you have to click on Expand All Groups until you get to the lowest level, the tasks. 2. Select the task you want to re-assign. 3. 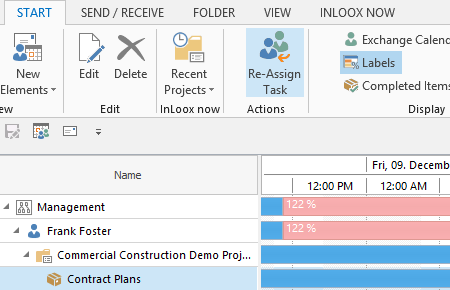 Click on Re-Assign Task in the ribbon. Re-Assign a task - InLoox • Copyright 1999-2019 © InLoox, Inc. All rights reserved.